The institution has a strong commitment to “The Great Commission” mandate (Matthew 28:18‑20) and the crucial role of missions toward its fulfillment. The international flavor and involvement of the institution continues to broaden through our aggressive policy of taking the Gospel to the ends of the earth so that all might have an opportunity to hear of the saving grace of Jesus Christ. 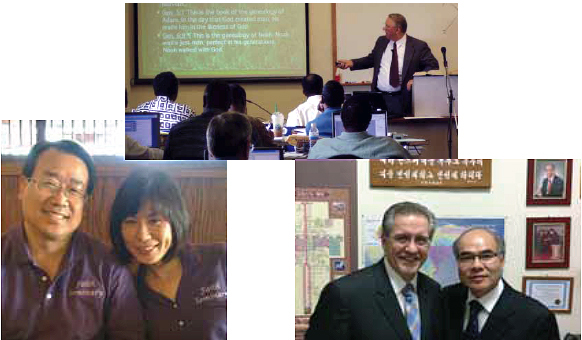 The institution provides opportunities for professors to make disciples through training and mentoring in Africa, Europe, Asia, and the South Pacific. Since the late 1970s, the institution has offered Korean programs. In 1995, the Korean Division was established. Currently the Korean Division offers the following degree programs: Bachelor of Arts in Religion, Bachelor of Arts in Education, Bachelor of Arts in Leadership (pending), Master of Arts in Christian Counseling, Master of Arts in Christian Education, Master of Arts in Theological Studies, Master of Divinity, Doctor of Strategic Leadership, and Doctor of Ministry. Courses are taught in Korean (or translated into Korean) and are offered online and through local resident classes. Hundreds of our Korean alumni serve throughout the world as pastors, missionaries, counselors, and church workers. Applicants should contact the Office of the Korean Division (253) 336-8000 or koreaninfo@faithseminary.edu. The institution established a Chinese Division in 2013, which offers a Graduate Certificate in Leadership (Professional Development). Courses are taught in the Chinese language, and the program is available both online and through local resident classes. Applicants should contact the Director of the Chinese Division at (206) 673-9150 or chinesedivision@faithseminary.edu.